I have been making conscientious steps to keep my skin in order! 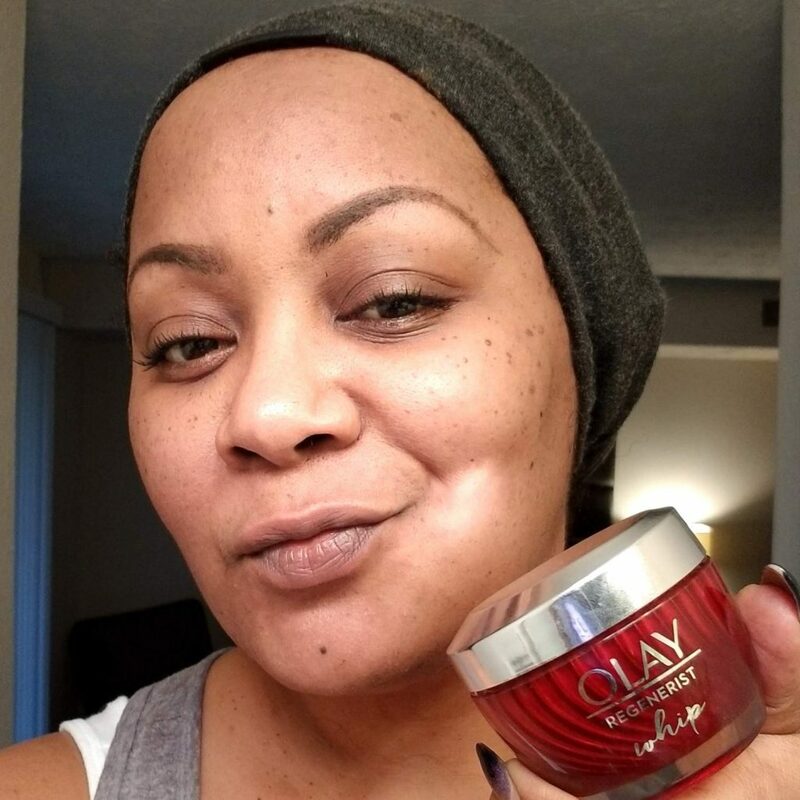 Do you remember my last Olay Challenge? Well, today I want to share with you another Olay product that I have been road testing: Olay Regenerist Whip! I started therapy, got a dog, started making better money decisions, and I have been also paying more attention to my skin care. 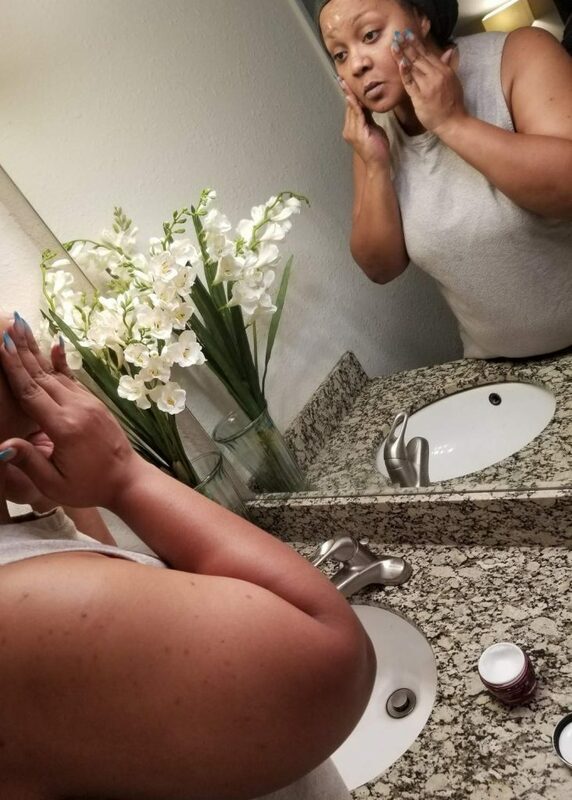 Aside from raising my water intake, I have been trying to find that perfect mix of products that will work wonders on my skin… I mean, your girl is almost knocking on 40, and while I have been sporadic with my skin care regime, I have been making conscientious steps to keep my skin in order! Do you remember my last Olay Challenge? Well, today I want to share with you another Olay product that I have been road testing: Olay Regenerist Whip! Why? 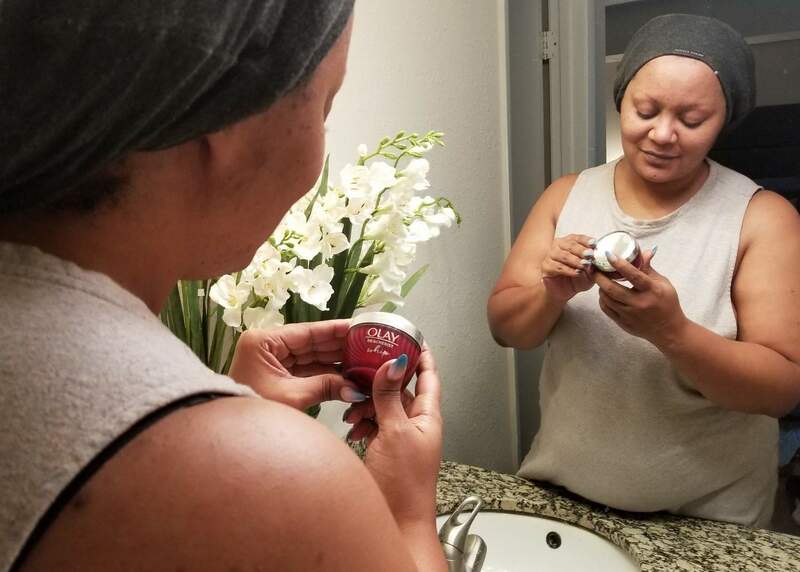 Well, when the Olay team reached out to me, to let me know about this new product and to give it a test drive and share my thoughts with you, I happily obliged. 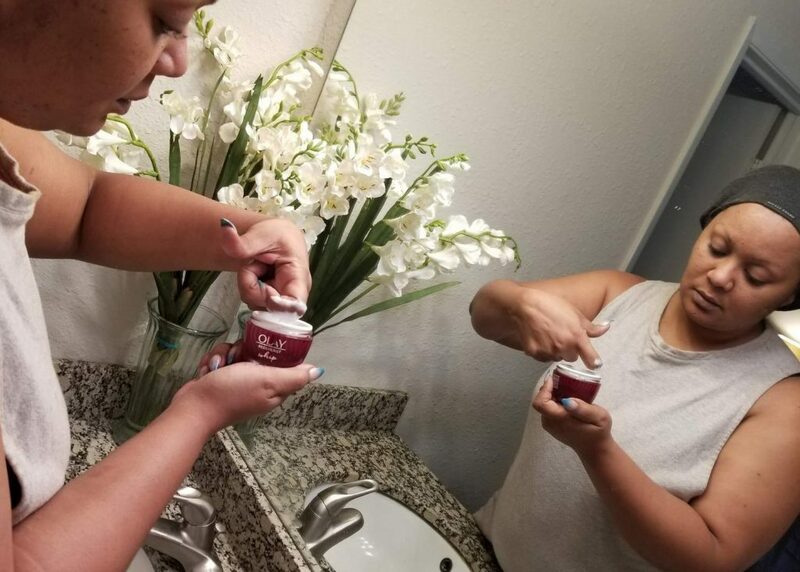 When I heard that this product was a powerful hydrating moisturizer that contains a unique formula, that could absorb all oil in my hella oily skin, while leaving my skin “velvety smooth,” I was here for all the help I could get! Funnily enough, I have braced this getting older thing, with a bit of amusement and humor… I now have moles on my face, like my aunts do. I have slight wrinkles on the top of my forehead. Gray hairs are starting to creep in, and I am just sitting here like, wow! BUT, because my grandmother is goals and is flawless, I want to make sure I do all I can to look half as great as she does. So, a little pre-care is always good, right? While this Regenerist product from the Whips Collection gives you “Powerful Wrinkle Results Without Heaviness” I am most curious about the “advanced Amino-Peptide Complex II to regenerate surface cells.” Hello hyperpigmentation. visibly smooths fine lines and wrinkles- Goals on goals on goals. My sister is flawless here. If I could achieve half of these benefits, I would be over the moon! I looooove the feel and weight of the product. It does not feel heavy or greasy. Which is weird, because of the hydration it provides! I do not have to wait forever for it to set, as I get ready… for bed or for my day. You know what I mean… sometimes, before bed, your product can end up on your pillow? Girl. Not this! It smells good! I know this is not one of the benefits, but it definitely is a perk. If I had eyebrows, I would be more inclined to run about town fully barefaced! BUT, even with brows on, I feel a little more confident with just mascara and my moisturizer on. Who knew. 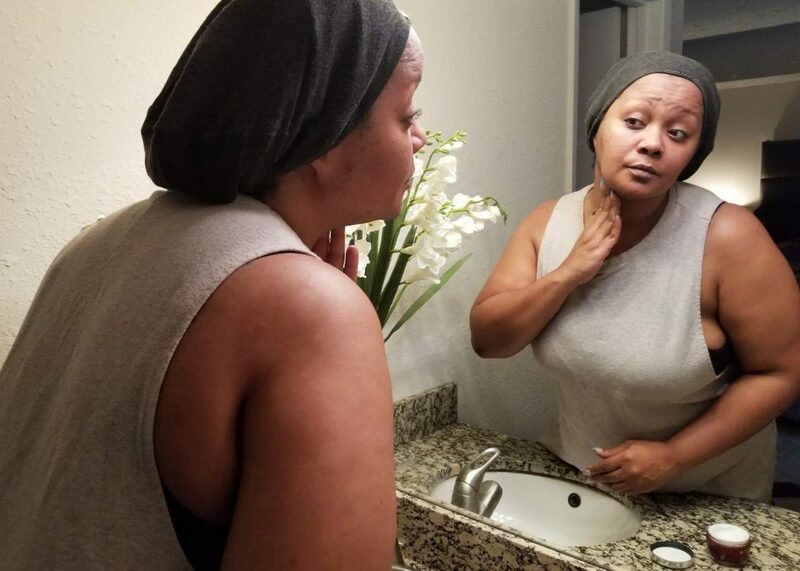 While my day to day does not require a full beat, it does feel good to know that I can use a product that works to help me feel a bit more confident about rocking no makeup AND works to address a few of my concerns. I am going to keep on playing in this Olay Whips, using it before bed and in the morning after I wash my face. I have a few skin goals and if this can help me achieve them, then your girl is sooooo golden! Have you heard of this new product? What are you doing to take better care of you and your skin? Let’s talk as I am serious about this mission! Thank you for your follow-up on the Olay face cream. I am looking for a basic face routine for the Spring/Summer. I had been using Avon's Reversalist cleanser and cream but I haven't been able to find it lately. So, I decided to try something different. I work at Target in the beauty department and when I stocked the face creams and cleansers I often wonder how good they are. So, thank you very much for the follow-up. I will give it a try. Also, I would love to see makeup swatches on different skin tones to get a good comparison of colors. I think I'm going to love this APP. Oily Skin? Five Reasons to Check Out Cosmedicine! Pucker Up: Lip Scrub + Balm Duos = This Season’s Lifesavers for Chapped Lips!